Hada Job .... Hada Quit .... Hada Paint! HADA is a painting group that gathers to paint for fun in various media. We paint for pleasure but we also paint for our community. Our group meets on the last Sunday of the month Jan-May & Sept-Nov at St. Paul's United Church in Dundas Ontario. ​Whether it's for the community or just for fun, there's always coffee on and painting to be done! 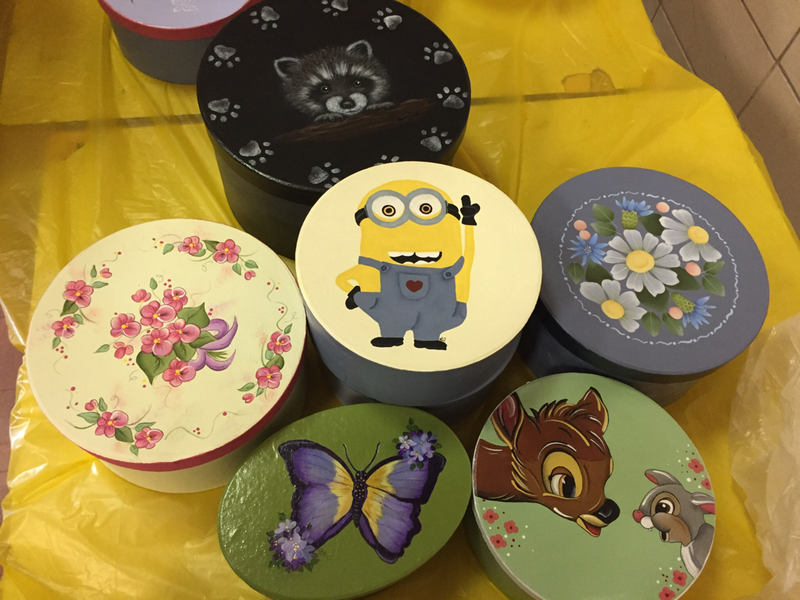 We paint memory boxes for McMaster and Joseph Brant hospitals. They are given to bereaved parents with mementos of their child's hospital stay- their id bracelet, the neonatal cap, a lock of hair etc. Do you want to become a member. Click on the New Member Form Button and fill out the information.